The Florence Biennale is a comprehensive exhibition of contemporary artists. Founded in 1997 by Pasquale and Piero Celona, in 2001 the Florence Biennale welcomed Jacopo Celona as Communication and PR manager of the organisation of which he is now Executive Director, coadiuvated by the curator Lilia Lamas and a team of professionals. 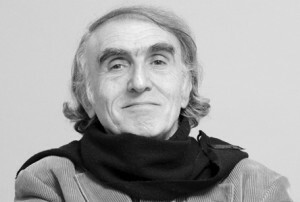 In 2013 the newly appointed Art Director of the Florence Biennale is Professor Rolando Bellini, who redefined its mission formulating the theme of the forthcoming IXth Edition. The organisation relies on the Artist International Selection Committee, composed by foremost scholars and art exponents from many different countries. In synergy with the City of Florence, the Florence Biennale has conferred the “Lorenzo il Magnifico” Lifetime Achievement Award. In each edition, the International Jury of the “Lorenzo il Magnifico” Award assigns this tribute to individuals and organisations for distinguished merits in Art, Design, and Culture. Illustrious names received this award in the past editions, and the names of the outstanding person who will receive it in 2013 are going to be disclosed in due course. ‘Art and the Polis’ is the theme proposed for the Xth Florence Biennale by the Artistic Director, Rolando Bellini. 10th Florence Biennale: Art and the Polis. 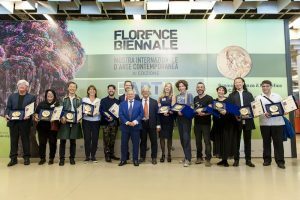 The opening of the submissions to be selected to participate in the X Florence Biennale has just been announced, which will take place from October 17th to 25th 2015 at Fortezza da Basso, in the heart of the city of Florence. X Florence Biennale Open for Submissions. As suggested by the theme 'Ethics: DNA of Art', the mission of the Florence Biennale is to stir some reflection and critical thinking about the relationship between art and ethics, and the role of the arts in the new millennium. The New Florence Biennale 2013 - IX Edition. Entitled "Ethics, DNA of Art" the IX edition of the Florence Biennale will take place from November 30th - December 8th 2013. 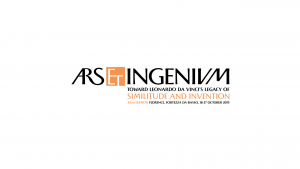 Florence Biennale 2013 - Ethics: DNA of Art.